DRM, short for Digital Rights Management, is a broad term used to describe a few techniques for restricting the free use and transfer of digital media like videos, movies, music files, games. 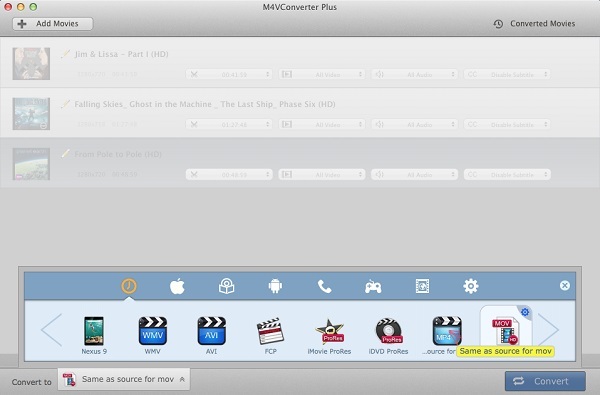 Apple uses M4V to encode video files, such as TV episodes, movies, and music videos, in its iTunes Store. The copyright of M4V files may be protected by using Apple's FairPlay DRM copy protection. To play a protected M4V file, the computer needs to be authorized (using iTunes) with the account that was used to purchase the video. You can play iTunes protected videos on iPhone, iPad, iPod and Apple TV. If you want to play them on non-apple devices, firstly you should get rid of the copy protection. There are many methods of stripping DRM from iTunes M4V files. On Mac OS X, you can remove DRM protection from iTunes using the burn-and-rip method with the help of iTunes DRM removal programs. Requiem, is a freeware that removes Apple's DRM (called FairPlay) from songs, videos, and books purchased on iTunes. This allows content purchased on iTunes to be played on non-Apple-approved devices, like a SlimServer or Linux box. The DRM removal is a lossless process, it is merely decrypting the file, not decoding and re-encoding it. It can remove FairPlay from iTunes movies, songs and books for free. Requiem has out of production in 2012, which doesn't support the latest version of iTunes for your computer. Moreover, It can't strip DRM from iTunes rented movies. Here we give you great alternative to Requiem - M4V Converter Plus. It is a professional iTunes DRM removal program you can't miss. 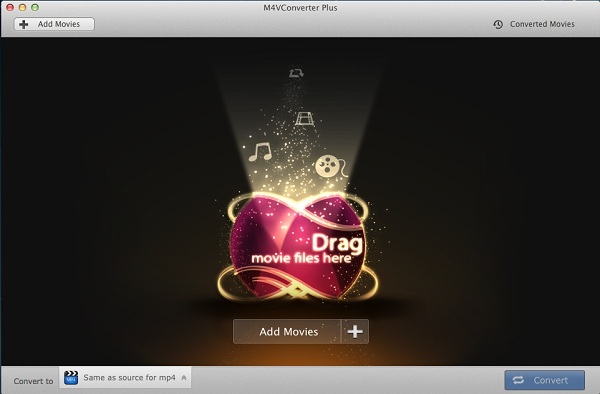 M4V Converter Plus is a powerful iTunes video DRM removal software. With it, you can unlock DRM from iTunes purchased movies, rentals or TV shows by converting them to unprotected MP4, MOV, AVI, FLV, WMV and other common video formats. 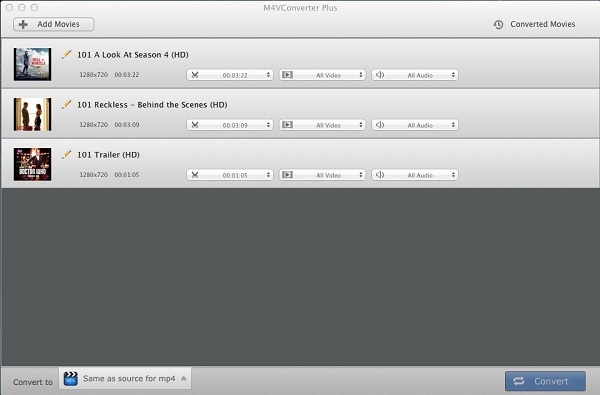 It can convert iTunes purchased movies, Rentals and TV shows to common video or audio formats in high speed without quality loss. Before started, please note that using programs might be illegal in the country where you are living. The DRM removal tool is not to delete the DRM files, but it records iTunes M4V video you purchased or rent, so whether the purchased movies or iTunes movie rentals, you can enjoy freely. Install this DRM removal tool and launch it, you will see the clean user-interface. Step 2: Add the iTunes protected movies to the program. Click Add Movies button. From the pop add window, you can select the target files by searching according its name, then click Add button. There are many output format options in the Convert to profile drop down list, here you can select Same as source for mp4 or mov as output format. Click Convert button or click the menu Control->Start Converting to start the converting, and the converting process will begin automatically. After the above simple steps, the DRM protection will be removed from the iTunes M4V files easily, so easy, isn't it? Just download and take a try.